Recently Kevin Hart sat down with Patrick Bet David. They had a phenomenal interview. Here are 19 lessons for you to takeaway. It wasn’t until Kevin realized that he didn’t have to be a persona that things really kicked off. He was just himself. He let go of the antics and just told his story. This is what separates the greats from the nobody’s. You go from being just another this to being a living breathing person. That’s why I share who I am and what I’ve overcome. While some people hide behind facades my actual self is the character that you see. Whenever I tell you about me about overcoming suicidal thoughts I speak to your soul. If I just gave you the facts, it wouldn’t move you. Being yourself is one of the so called secrets to success. Take this to heart and you’ll transform yourself. Because chances are you’re not even being honest. You wake up each day living as the person you see in the mirror. But you’re so much more than that reflection. This builds off of lesson 1. Whether you work online or offline. Telling your story is what will make you stand out from the crowd. Most people live a fake life through selfie filters. What they don’t realize is that with each passing moment they’re creating a story. And while I’m not here to help them. I do however want to help you. Because I can tell that you really want to change. Your change starts with you intentionally telling your story. By intentionally telling your story you will take control of the narrative. You’ll go from someone who went to this school and had these jobs. To a real person with a real vision. This my friend is how you will build a life that fulfills you. It’ll shock you how the Universe and people around you will come to your aid. You’ll go from just another person wanting something to someone that people want to help. So tell your story and watch as the world brings your vision to you. You are a storyteller so tell a damn story. 3) Learn the game from the GREATS. Otherwise, you’ll waste years going all over the place. Kevin Hart found a mentor who told him what not to do. He was told the game and that’s how Kevin Hart’s success skyrocketed. But don’t get it twisted. You’ve got to put in the work because nobody is gonna save you while you’re here. You’ve got to do the work and figure out how to do it. If you do the work and are good the GREATS will take notice of you. That’s how I was able to learn from a legend. I worked for years and then was given a chance to learn. He didn’t do any of the work for me. Even now it is still me who has to take action. So in your case learn the game from the GREATS. It may take you years until they notice you. But until then focus on the only thing that matters which is doing the work. Because once they notice you. You’ll have a chance to skyrocket your success like Kevin Hart. 4) Success is a mental thing. What I’ve found with success is that it’s more mental than about “hard work”. I can see your relief now. But it being mental doesn’t make it any easier than hard work. I’d argue that it being mental is even harder than hard work. Because hard work is easier than dealing with the mind. When I did construction I’d work 12-hours a day in 90-degree weather. That was hard, but not nearly as “hard” as dealing with my mind. It took me years to overcome different mental blocks. But once I did, everything clicked. 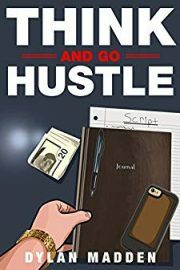 Now writing and getting money is easier. Why? Because success is a mental thing. I could tell you exactly why it is and what I’ve learned. But it would honestly go in one ear and out the other. It is only through deep study and massive action that you’ll understand it. You’ll then have people asking you how you did it. But you’ll understand that they simply won’t understand it. You could tell them and 3 hours later they’ll be back to ask you more. That’s why in Think and Go Hustle I tell you my story while giving you actionable levels. It forces you to both understand what I’m saying while getting real-world results. This way you’re getting better, faster, and sharper. When Kevin Hart was coming up he worked on his main gig during the weekend. Then during the week, he booked college shows to pay his bills. This allowed him to build his buzz and skill at the same time. In my case, my main skill is writing. So that’s why I do both copywriting while building this blog. Copywriting brings in the money while C&C is able to grow. There’s no need for me to stress out about paying my bills from this. That would affect my writing and kill my vision. So instead I fan my vision by focusing on 1 skill. This skill builds upon itself with every project that I do and every article I publish. In your own life find something similar. It doesn’t have to be something that you’ll do for the rest of your life. Because chances are it is through you working on 1 skill that you’ll find what you really want to do. Once you find your 1 skill, study the game. Find out how the game works inside and out. As you learn the game you’ll see what you need to do to win. I’ve seen so many people with potential lose because they didn’t study the game. They got into it without knowing what was what. Within a matter of months, they disappeared. 7) Success is a full circle. What you do now will be what makes you successful tomorrow. That one phone call that you made earlier may be what changes your life a month from now. I know in my case it was sending that first email to my mentor. 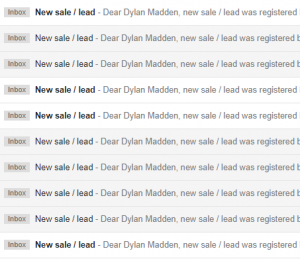 He told me, no and yet I continued to email him. Not in a spammy way, but being genuine. Another example is an article that I wrote over a year ago. It got zero traction and then out of the blue started sending me deposits. So whatever action that you can take today. Take it. Even if it’s small and doesn’t seem to do much for your BIG vision. You’ve heard that the Devil is in the details. And it’s true. The small things that you do are what will bring you your avalanche of success. 8) Life is a game. And like with all games there are levels to it. As you study the game you’ll see the different steps required to get to the top. From there all that’s left is for you to play the game. You’ll let the rest of the people continue being spectators while you continue leveling up. 9) Live below your means. Living below your means solves almost every financial issue. Of course, you’ve got freak examples. But for you, this is how you’ll be able to work towards your freedom. It’s simple and easy to follow. If you make $1,500 a month then aim at saving 20% of that. That leaves you with $300 a month to stash away. While you won’t retire off of that, it serves a purpose. That purpose being that you’ll flip that money into more money. Whether that be buying stuff and then selling it on Craigslist. Or putting it into any of the other 1,000’s of ways to make money. It’s all a part of your rise. People complain about living below their means all of the time. And they are the same people with maxed out credit cards. Either getting what you can afford now or get what you really want later. It doesn’t matter who you are right now. Because you can change it all by recreating yourself. And it all starts with you ditching your persona. Then and then will you see who you need to become. But the biggest benefit of recreating yourself is evolution. Recreating yourself is how you get from level 1 to level 99. You didn’t think that you could be a novice and win the game, did you? 11) Own everything that you do. But don’t cut out those who helped you. Because unless you own everything that you do, you’ll never be free. And if you cut out those who helped you, well Karams a b-tch. In Kevin’s case, he owns every tour he does. He owns as much of everything as he can with every business deal. This is what has allowed him to stay on top, keep his integrity, and be worth $138 million dollars by the age of 38. And he’s kept his agent from the days when he was doing college tours. Kevin never shy’s away about how his agent was instrumental in his success. For comfort will ruin even the greatest out there. Whether you’re finally starting to get your life in order or not. NEVER get comfortable because you don’t realize how easy it is to go back to your old life. Skipping the gym once to hang-out with the boys could throw out all of your progress. Not pulling out could result in you becoming a baby daddy. Comfort kills and momentum builds. Bring those words into your heart and never forget them. Do the daily work required and never stop. Learn how to enjoy yourself without getting comfortable. That’s the only “balance” there is once you start playing the game. 13) The show never ends. And so you don’t either. Whether you’re working a job, in the gym, or ordering your coffee. The show never ends. Well see point 12 and you’ll understand. If you only play the game at certain times you’ll never make it. That’s why so few people ever reach high levels. It’s nothing but something to do for them. For you, it’s all or nothing though. Even when you’re at your best. Allowing your emotions to get the best of you can ruin everything for you. Controlling your emotions comes down to state control. Once you control your state, you control everything else. Things that cause people to lose their minds over will bounce off of. As an example the other night someone got aggressive with me. Instead of reacting emotionally I calmly looked him in the eyes. And without hesitation told him, “Brother you’re making a mistake, walk away” and he listened. He later came up to me and apologized. But controlling your emotions will bring you more than that. Anxiety and many of the things that you worry about now will fade away. You’ll look back and laugh at how silly they were. I know that’s what I did when I looked back over different worries I had in my old life. I seriously used to worry about buying new tires for my car. I used to worry about paying my phone bill. And lose sleep over nothing but uselss opinions. Not anymore though. And it all started when I decided to control my emotions. Anything less than playing to win is wasted time. If you don’t do everything to best of your ability then you deserve whatever life gives you. It’s a subtle mindset that brings you big rewards. The next time you’re working out do it to the best of your ability. Get the best pump you’ve ever gotten before. As you walk into a restaurant give it your best. Walk with confidence and speak with certainty. But don’t stop there. Take that mindset into everything that you do. And within a week you’ll message me telling me how much better your life is. 16) See yourself with the GREATS. You’ve got to see yourself with the greats to be great. Whether you’re aiming at being a business tycoon or getting Ashely’s number. You’ve got to see yourself as the best before you’ll ever get there. Because it is belief that leads to action. When you talk about the greats of your field don’t forget to mention yourself. Otherwise, you shouldn’t even be in that field. When you’re talking to Ashely don’t even consider the other guys. You’re the best option for her. If you even question it for a second you’re done. 17) Do the work and leave. When you first start working on yourself it’s easy to get lost. Before you know it you’re working on something no matter where you’re at. I know for me no matter if I was making love or watching a movie. I was in my head working on something. This is what leads to burnout. When you’re with your friends be with your friends. In other words, work on 1 thing at a time. That’s how you’ll finally be able to shine. Focus and all will be yours. 18) Keep a tight crew. Because as you start getting your life in order. You’ll gain the attention of more and more people. And if you don’t have a tight crew you may start to believe what others say about you. Both positive and negative. Not only that but your crew of like-minded people provide a support structure. That even though it’s entirely on you to do the work. You’ll always have people around you to remind you of why you do what you do. There will be days where you’re full of doubt. But all it takes is a look at your script and a call to your crew to get you back on track. Build a crew of loyal like-minded people and you’ll be unstoppable. 19) Study books don’t read them. During the interview, Patrick Bet David gave Kevin Hart books to have. What stood out to me was that Kevin said he’d have assessments for each of them. This is what books are really for. I don’t care if you’ve read 100 of the best books. If you didn’t take notes and have a written assessment, you waste your time. There’s no way that you’ll remember the parts of the book that spoke to you. So I leave you with this. Study books don’t read them. Implement this. You’ll get more out of one book than you have out of all previous books combined. 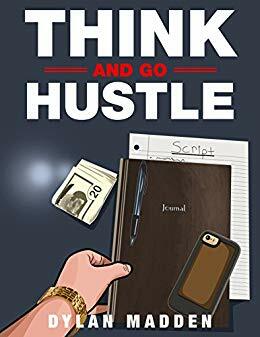 Start by applying it to this free chapter from Think and Go Hustle.